Tata DoCoMo's one-paisa-per-second tariff plan changed the Indian telecom industry, for better and for worse. On a cold winter morning in December 2008, Gurinder Singh Sandhu huddled into a conference room with three colleagues at Tata Teleservices Ltd's (TTL) New Delhi office. Sandhu, marketing head at TTL, and his colleagues were meeting a few days after Japan's NTT DoCoMo had agreed to invest $2.7 billion for a 26 per cent stake in the Tata Group's telecom arm. Over many cups of tea and coffee, the quartet waded through thick files of surveys and market reports on mobile-phone users' behaviour and requirements. They had to prepare a marketing plan to launch a new mobile-phone service, subsequently called Tata DoCoMo. The plan had to be unique so that Tata DoCoMo stood out from the half-dozen other companies that had launched or were planning to roll out telecom services. What Sandhu decided in that meeting not only helped Tata DoCoMo outsmart its rivals but also transformed the entire telecom industry. When Tata DoCoMo launched its operations on June 24, 2009 in Chennai, its unique selling proposition was the one-paisa-per-second billing plan for telephone calls. Anil Sardana, who was then managing director at TTL, made the first phone call under the new tariff system that day to then telecom minister Andimuthu Raja. Ratan Tata, Tata Group's chairman at the time, said at the launch that the per-second tariff plan "will create a paradigm shift" for phone users. And indeed, it did. 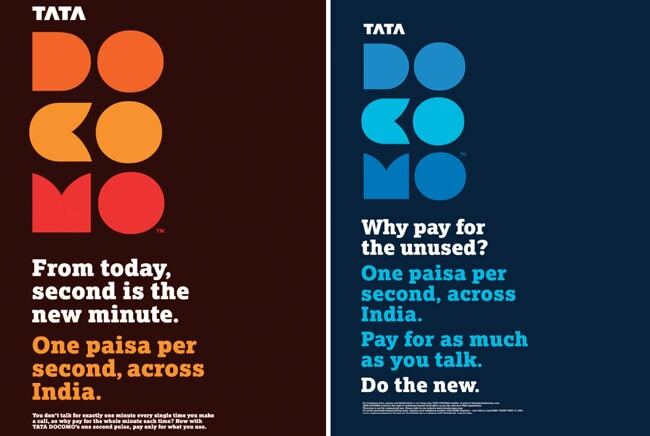 Until Tata DoCoMo introduced the per-second plan, the lowest time frame to calculate phone tariffs was one minute. This meant that users paid for the full minute even if they spoke for only five seconds. While this was a profitable proposition for operators, users were clearly getting the short end of the stick. "The belief was that the per-minute plan was dishonesty. One-paisa-per-second came from that belief," says Sandhu. The new tariff plan changed the equation overnight. "We wanted to make a disruptive intervention in the market," he says. "There was nothing that sounded as disruptive [as the per-second plan]." Sandhu studied various markets and similar tariff schemes before launching the per-second plan. One such scheme was by Emirates Integrated Telecommunications Co., which operated under the Du brand in the Middle East. Another plan he studied was launched years before by TTL that offered a pulse rate of 15 seconds to users of its Tata Indicom service, which operated on the code-division multiple access technology platform. While Du's billing plan was a hit among users, TTL had not achieved much success due to lack of adequate marketing support. Sandhu says he had two options when he was finalising the marketing plan for Tata DoCoMo, which offers telecom services under the global system for mobile (GSM) technology. He could either try to attract new users or instead target existing subscribers of other telecom companies. The second option seemed better. Why? The market research reports Sandhu had read suggested that only a third of mobile users were loyal to their operators. This made it easier to lure them away with a better tariff plan, which is what Tata DoCoMo did. The company launched TV and print advertisements with catchy taglines such as 'Second is the new minute'. 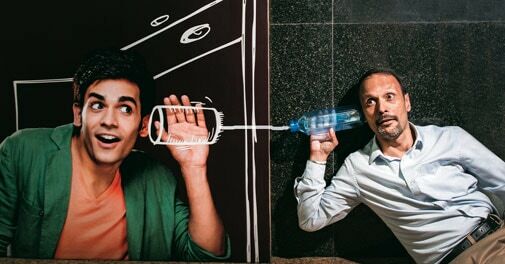 The ambition, says Sandhu, was to make Tata DoCoMo a "lighthouse brand" that consumers and other operators would follow. That's exactly what happened. Within five months of the launch Tata DoCoMo attracted 10 million customers. Three-fourths of them came from other operators. Soon, all operators including market leaders Bharti Airtel, Vodafone and Idea Cellular launched per-second plans and a major tariff war erupted in the telecom industry that had far-reaching effects. As more companies rolled out similar tariff plans, attracting users at the bottom of the pyramid, mobile penetration in the country surged from 29 per cent to 43 per cent within a year. The Indian telecom industry began adding about 15 million subscribers every month, the fastest pace in the world. From about 500 million subscribers in 2009, the market expanded to nearly 800 million users by 2014. For perspective, the European Union was adding about a million users a month, the US around three million and China almost eight million users a month. "It was a disruptive pricing innovation in a crowded market," says Srini Gopalan, Director of consumer business at Bharti, who was working with Vodafone in the UK when Tata DoCoMo launched the per-second tariff. But not everyone agrees. Sashi Shankar, Chief Marketing Officer at Idea Cellular, dismisses Tata DoCoMo's pioneering move. Shankar says per-second tariff would have been introduced eventually because all telecom operators were aggressively expanding their networks and moving beyond large cities into smaller towns and rural areas. Tata DoCoMo did not stop at per-second plans for voice calls. It also launched the Diet SMS pack, where rates for text messages would be charged based on the number of characters. In 2010, it launched the first pay-per-site to surf the Internet. The success of per-second plans also prompted operators to launch recharge coupons of as low as Rs 10. Earlier, recharge coupons could be bought for at least Rs 100. This was unaffordable in small towns and villages as well as for poorer people in large cities. Subsequently, electronic recharge made things simpler. "When that happened it gave a lot of flexibility to operators to offer a whole bouquet of recharge coupons, as retailers would not have to physically store paper coupons," says Idea's Shankar. The per-second tariff plan also had negative consequences. It pulled down operators' realisation per minute by 10 to 12 per cent. Average revenue per user fell initially. Operators thought that even with the falling realisation, the usage per subscriber would rise, but even that did not happen. Most operators now have between 40 and 60 per cent of their subscribers using per-second tariff plans. This has led to shrinking margins. According to calculations by the Telecom Regulatory Authority of India, an operator makes 20 to 25 per cent more margin if it does not offer per-second tariff. Sandhu also says that if Tata DoCoMo stops offering per-second tariff plans, its margins will go up by at least 20 per cent. Falling margins and rising spend on network expansion after expensive spectrum auctions in 2010 started hitting the operators and dragged the industry into a financial mess that it has yet to recover from. All this means is that the Rs 2,50,000-crore telecom industry today is buried under a debt burden of Rs 2,80,000 crore. As margins hit rock bottom, telecom operators looked for ways to manage costs better. Bharti, Vodafone and Idea jointly set up Indus Towers to share infrastructure such as telecom towers. Typically, tower sharing cuts cost by up to 25 per cent. Most companies also started operating their networks at or above full capacity. They outsourced certain services and reduced spending on adding customers by relying on mom-and-pop retail outlets to do the job. "We became much smarter in managing our costs," says Bharti's Gopalan. Idea's Shankar says operators began customising services for users and launched other innovative tariff plans to increase revenue. Bharti, for instance, launched the one-rupee store where users could watch a video for one rupee and Tata DoCoMo launched a service where users can pay one rupee to access social networking site Facebook and messaging service WhatsApp for a day. Gopalan isn't sure, however, if the per-second plan was the best thing that happened to the industry. "It did erode profitability and I am not sure if the consumer benefited, because you need to make economic returns to continue to invest," he says. Even TTL did not benefit much in the long run. The company makes heavy losses and has failed to become a serious challenger to market leaders Bharti and Vodafone - TTL is ranked seventh among a dozen operators based on market share data from the Telecom Regulatory Authority of India. And on April 25, NTT DoCoMo said it will exit TTL for not meeting performance targets. Sandhu, however, believes Tata DoCoMo has shown the light to the telecom industry in many ways with its innovative pricing models. Like a lighthouse on a sea shore.